Every product takes dedication, hard work and passion to develop and bring to the market. It is this story that makes a product unique, and provides an opportunity to communicate a point of difference and competitive edge. Great olive packaging design is the vehicle that tells this story, creating standout shelf presence and driving purchasing decisions. 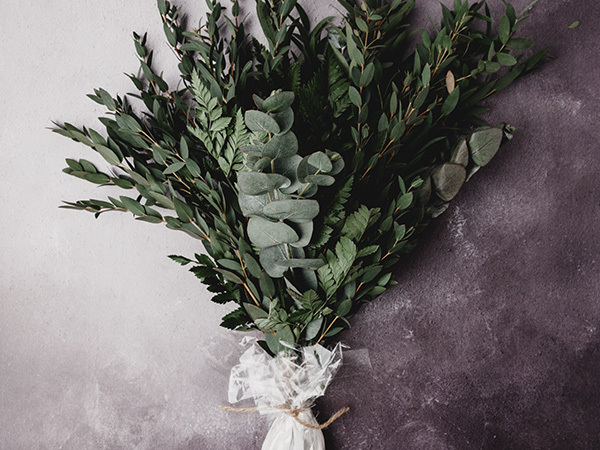 Set the foundation for successful packaging execution with an astute olive marketing strategy that identifies your target consumer and the best opportunities and channels to connect with them. 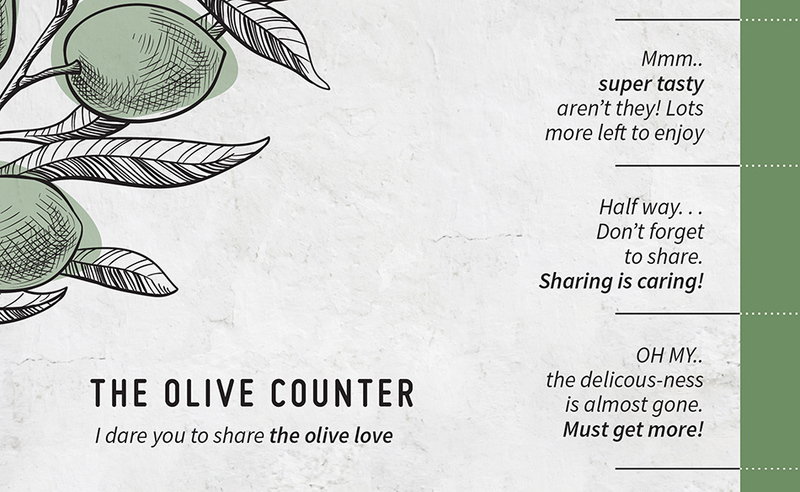 Tell your story by communicating what makes you unique through clever, consistent olive product branding design. 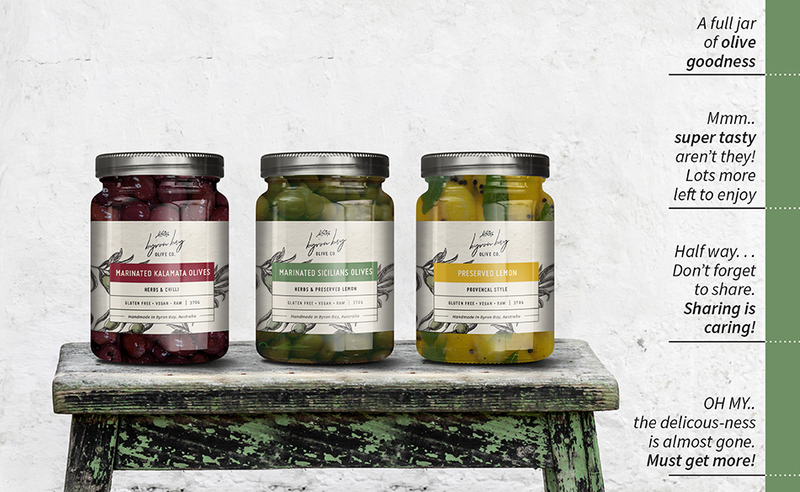 Create shelf presence and stand out with olive label design that connects with your target consumer, with the logistics taken care of for you. Consumers judge a book by its cover, and with so much competition on the shelf there’s no room for shortcuts. The task of great olive packaging design is to draw the consumer’s eye to your product, compel them to pick it up and read the content on your packaging, then purchase it. The Graphic Design Australia team delivers packaging projects with shelf presence by blending consistent branding that tells your story with packaging that performs, and a marketing strategy to get your product positioned on the right shelves, where your target market can find it. 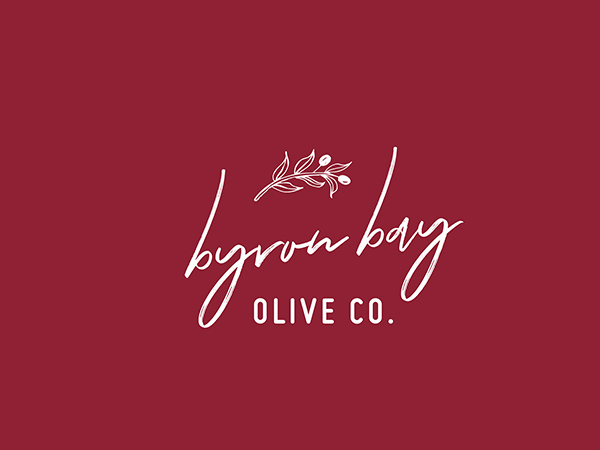 To achieve the best results in your packaging design project, we invite you to work with us in a true partnership in your olive packaging design project. Working with some other agencies can feel impersonal, but working with us we invite you to meet with our team and work alongside us to bring your packaging design to life. 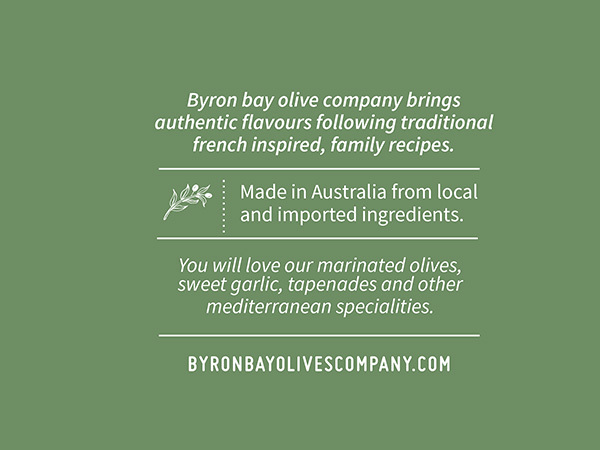 The Byron Bay Olive Company produces some of the best marinated olives, homemade Tapenade or other Mediterranean products like marinated Feta or sun dried tomatoes, with an authentic taste comparable to one you could only find in the south of France.